It is time to take action! 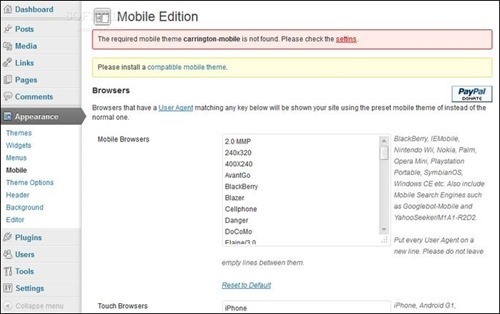 Using a WordPress mobile plugin to address certain issues on mobile devices is worth considering. Another possibility is to make page elements responsive by implementing jQuery plugins for responsive layouts. This is, however, not the only way to make you website more mobile friendly. Depending on the situation you can choose from a couple of mobile website approaches when considering how to address the mobile browsing demand. 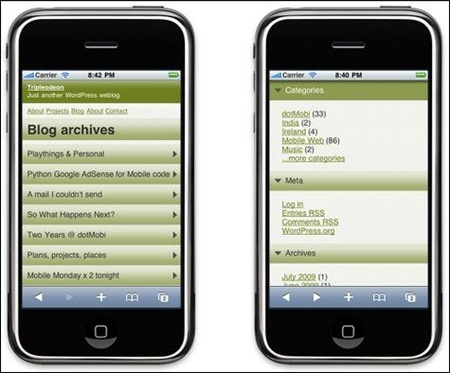 Some websites choose to implement a mobile WordPress theme designed specifically for mobile phones. 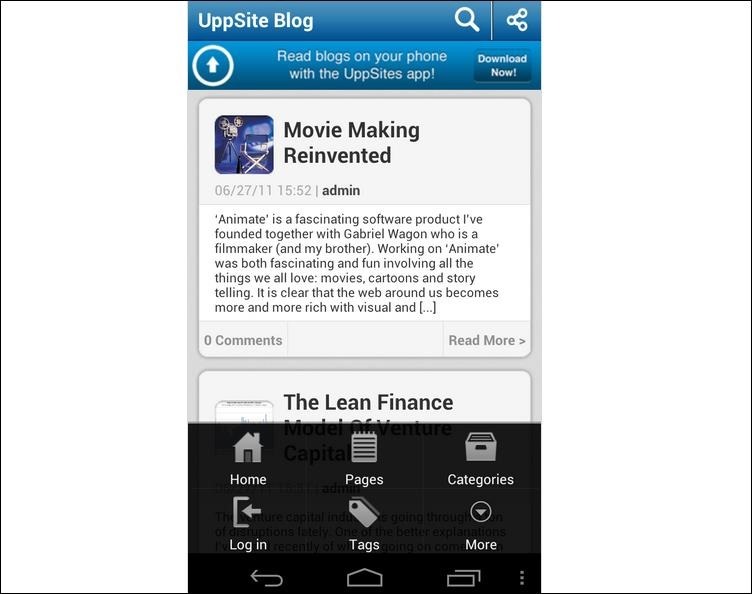 This way they build a new mobile version of website only for mobile browsing. 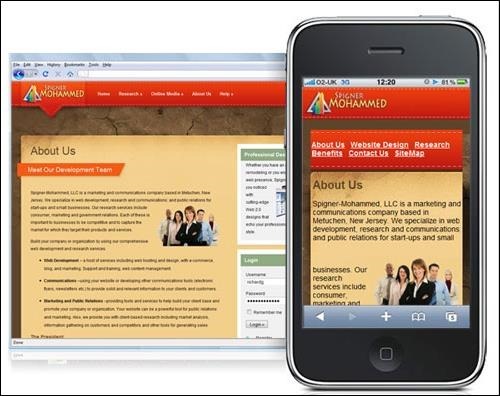 Other websites choose to implement a responsive theme to make it adaptable to different screen sizes of various mobile devices. It is, however, also an option to design a native or hybrid mobile app that will integrate and use the mobile phone features such as the camera, navigation etc. As you will see in this article, WordPress plugins can also help you solve a lot of issues when your website is going mobile. The best solution will always depend on your needs, your budget and of course your time frame. With that consideration in mind, I have compiled a list of free mobile WordPress plugins. Please tell me what you think of the list by adding your comments below. It will be much appreciated if you share this post with your friends, as well. This popular plugin detects all the mobile browsers and loads the mobile theme selected in the admin settings. You can select a different mobile theme for each mobile browser. This is a lightweight plugin that detects mobile devices, browsers and operating systems, which will allow your WordPress site to change to a mobile theme when mobile devices are detected. 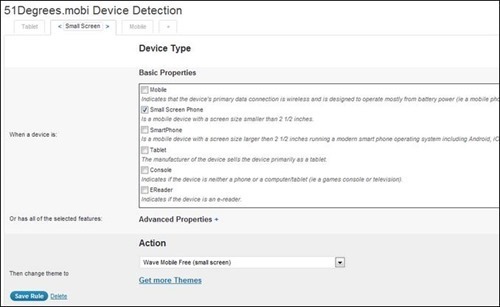 If the visitor is using a mobile device, the plugin will provide you some vital information on the device being used such as OS, browser and device type. This is a complete mobile plugin pack that will help you mobilize your blog and website. 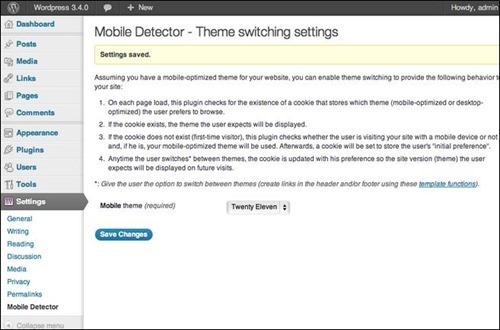 The plugin includes a mobile device switcher and detector that will allow you to choose themes according to the kind of device that is visiting your site. 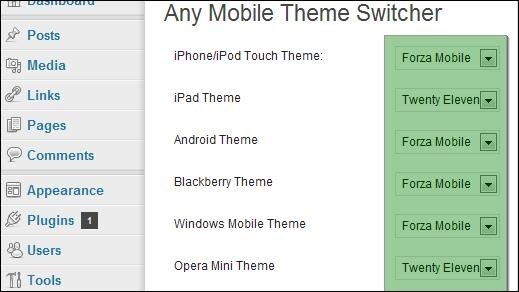 Quick and easy implementation is made possible by an admin tool and a collection of mobile themes. This plugin will allow you to overload theme directories and template files via the detected platform. At present it can detect Android phones and tables, iPad, iPod, iPhone, Blackberry, Kindle, IE Mobile, GoogleBot Mobile, webOS, PalmOs and SymbianOS. 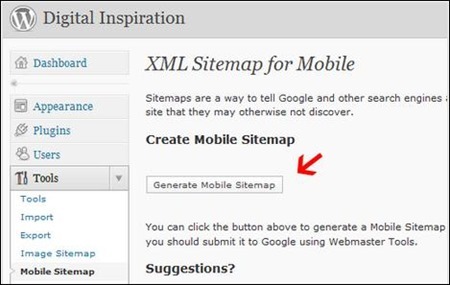 This plugin will allow you to convert your WordPress site easily into mobile friendly one. It is straightforward, fast and free. DudaMobile is also compatible with every WordPress theme, including blogs and websites. This is mobile site builder plugin that is both extendable and powerful. It allows you to make mobile sites and landing pages easily using a drag and drop interface. MobileChief will not optimize your WordPress site for mobile devices. 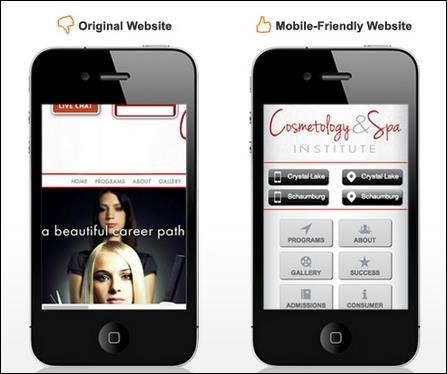 Instead, it will allow you to create new contents in new mobile websites. Install this plugin to enjoy an easy, fast and advanced way to convert your WordPress site into fully-functional and customizable iPhone, iPad, Android and Windows Phone native applications, as well as a HTML5, native-style mobile web application. It’s free to get started with your apps. Wapple Architect Mobile Plugin for WordPress is a plugin that allows you to mobilize your website or blog. 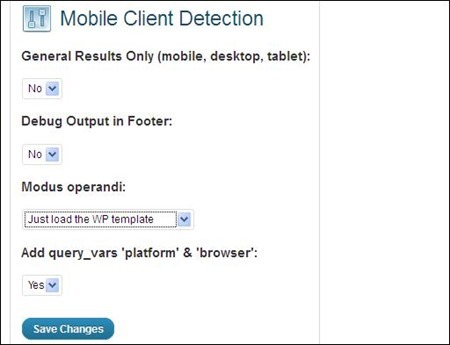 It will detect all mobile devices and the aspects of your website are tailored to the visiting handset. Any theme you’ve installed and have styled for web will be carried across to mobile giving you a consistent look and feel for each and every one of your visitors. 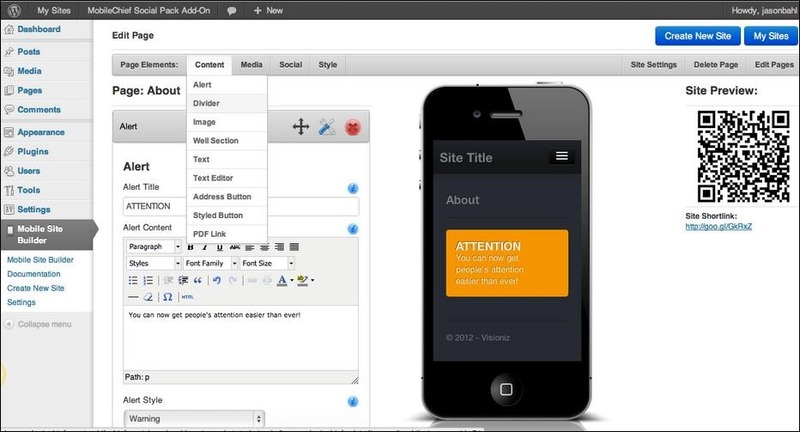 WordPress Mobile Pack is a complete toolkit to help you mobilize your WordPress site. It has a mobile switcher, themes, widgets, and mobile admin panel. 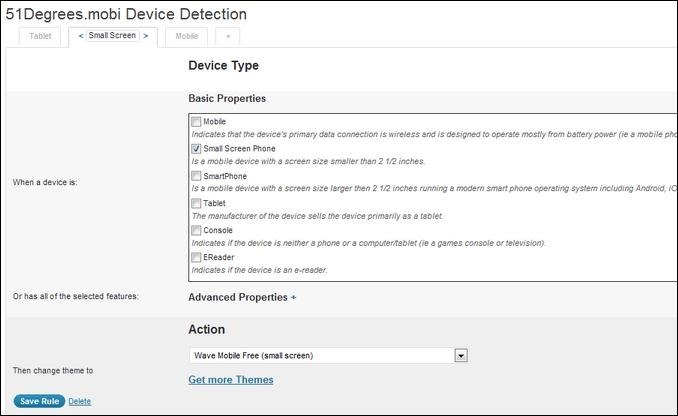 Verve Mobile automatically detects standard and advanced mobile devices and displays a compatible WordPress mobile theme. It automatically formats content and resizes images. Verve includes two pre-installed mobile themes and you will have access to advanced mobile statistics including unique visitors, visits, and more! WordPress Multi Site Mobile Edition is a conversion of the famous WordPress Mobile Edition plugin suitable for WP3+ in both normal and multi-site mode. 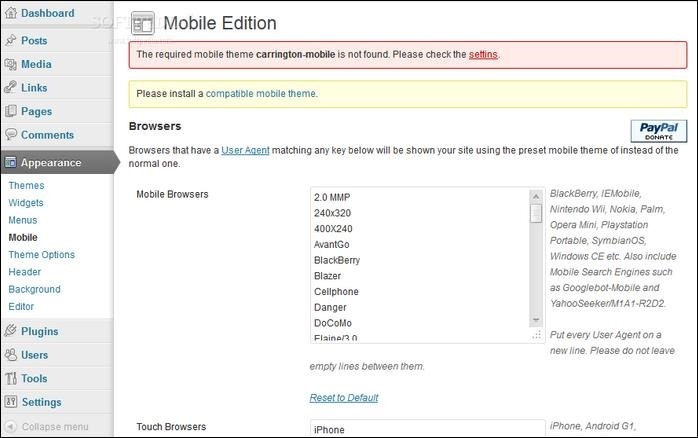 It will make WordPress use the Carrington Mobile theme designed for mobile devices when visitors come to your site or any site on your network with a mobile device. WordPress Mobile Admin is a fully featured WordPress control panel for your mobile. It works on every device, so it doesn’t matter if you don’t have an iPhone, a BlackBerry or another smartphone. It uses Wapple’s advanced web services to produce perfect markup whilst at the same time maintaining the familiar look and feel of WordPress. You can write and edit posts, moderate and reply to comments as well as updating and managing tags, categories and pages. This is an ad plugin that will allow you to feature mobile full page ads on your WordPress websites, without altering the template files. You do not have to add banners to incorporate the pages. You will have to sign up for a MobiCow account. This plugin will allow you to add a text message notification for new orders. 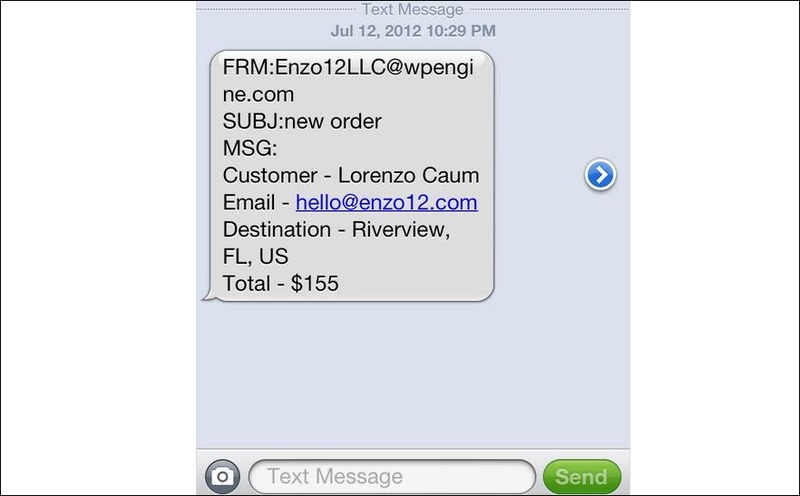 After checking out, the merchant will get new order information via text message. The user doesn’t need to do anything as the process happens in the background. The SMSGlobal SMS Plugin enables you to increase your traffic to your WordPress site and an increase your post read rates by keeping your users informed via SMS alerts when new posts are added. The plugin also allows you to send SMS manually through the Send SMS tab on the control panel. Sitemaps are a way to tell Google, Bing and other search engines about web pages, images and video content on your site that they may otherwise not discover. The Mobile Sitemap plugin will generate a sitemap for your WordPress blog with URLs that serve mobile web content. i checked mobicow but it only employ mobicow mobile ads.. Thanks for putting this list together. There are a ton of plugins to go through and lists like these help a lot.